If and when the video is made available on the TBS STORYline website it will announced here on winecoff.org. 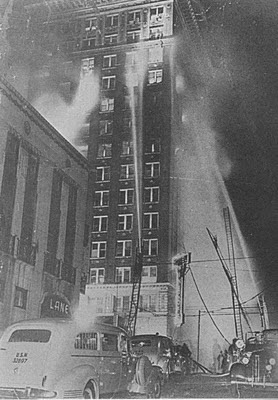 The story of the 1946 Winecoff Hotel fire was featured in the April 28th episode of TBS STORYline, a weekly magazine series which airs on WTBS, channel 17 in Atlanta. The feature story included interviews, newsreel footage and vintage photographs from the disaster often dubbed "Atlanta's Titanic". The piece was broadcast in the Atlanta area only.